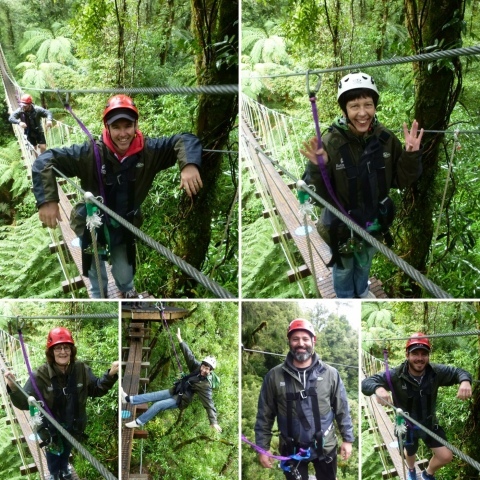 No doubt the highlight for these 'Flying Kiwi" was the zip lining! Soaring through long forgotten ancient forest just like the whole of New Zealand once was. We literally had a 'birds eye' view of forest that was nothing less than breathtakingly beautiful! The tour funds a massive conservation project to protect the native plants and birds that live in the forest – almost everything that lives here is not found in any other country on earth.